Download files with simple, easy to use, fast and responsive free download manager; get documents, compressed archives, audio, video and program files with 5x faster speed. Saving favorite things inside computer is difficult job for beginners but the default download managers can able to download data. The key function of free download manager is to download different file extensions with help of resume, pause and stop actions. The simple white user interface will define its functions in file and toolbar menus. However, this smart application will categories each type of download such as Torrent, videos, active, all and even add manually by user. The user can view general and log details / properties of target file including target destination, file type, file size, server location, download speed and more. 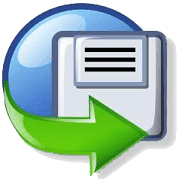 As per views, this is the only download manager which support torrent files. DAP and IDM are famous downloaders but they did not support .torrent files. So we can use Free Download Manager as default torrent application or client. The preferences will make it easy to configure output folder, speed controlling, interface experiments and more. Drag url’s or torrent files directly into main screen that will start immediate file downloading. Furthermore, add, pause and delete downloads manually just with few clicks. The amazing data transfer speed can grab specified file from server into minutes (depending on connection speed). Resume downloads that were caused by unexpected power outages, corrupted, broken or any other error with single click. Save magnet links and torrent files.